A food truck at the University of Connecticut is serving up roasted crickets. The Daily Campus newspaper reports the university's dining services are advertising the insects as organic. The bugs are not genetically modified and are earth friendly. The crickets are high in protein and low in fat. They're a source of B vitamins, iron and zinc. UConn is located in Storrs. The university says the farm that supplies the crickets uses carbon dioxide to kill them and then roasts them. The crickets are sold for 99 cents. They come whole in small plastic containers. The crickets are sold as a snack or as a taco topping. Dining services area assistant manager John Smith says they sell two or three containers of crickets per day at the truck. Giant pumpkin or flying saucer? Dog trapped in volcano? It can happen. Because you can eat them and there genes are not changed and they are low fat and high protein. It would make me get sick. The insects are advertised as organic not genetically modified because eating crickets already seems disgusting so if they were advertised as genetically modified they would seem foul. 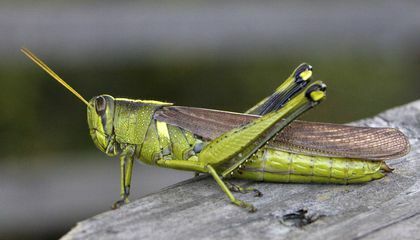 If you didn't want to eat crickets in the first place the fact that they are organic turns on a switch in ones mind and tells them that its healthy so they might want to try it. If they didn't say organic there is no way that this cricket food truck would be able to sell two or three cricket containers a day. 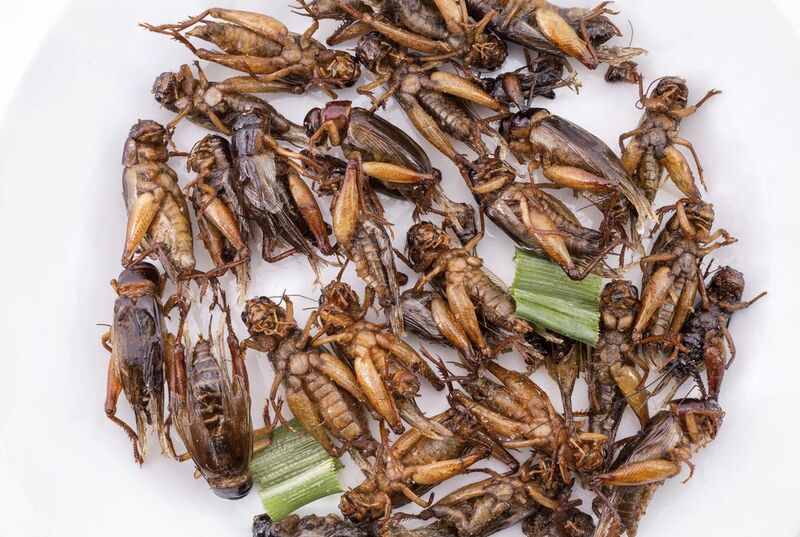 Opinion: I thought this article was pretty disgusting the fact that people eat crickets is just foul and the fact that their only ninety-nine cents is just a little bit sketchy to me. I really don't know if eating this thing is good because in my opinion it looks really nasty because look at it. I really think that they should at least make the cricket look good because it just look like a big cockroach that's covered in mud. I wonder what it taste like because so many people eat it. That is very disgusting. I don't even know why people would eat crickets. It is very disgusting to me because crickets are very dirty and they are all scattering around the ground. Also they go into sewers. I also like tacos but I wouldn't ever put crickets on it. I guess that I don't like it but other people like it. If I get to try the cricket I would definitely try it. If I get to eat it, I would ask my friends to give me 1000 dollars. If I win the 1000 dollars I would go to New York, and live there. If I live there I have to go to college, I would go to Princeton college. If I am that smart. I think I will able to go to Princeton if I work hard. I think this is weird because who would eat the crickets anyway. Having them to be killed by carbon dioxide would smell pretty bad. I wonder how insects have nutritional content in them. Answer: The insects were advertised as organic because they were born on a farm and then they were killed with carbon dioxide. If the crickets were killed by carbon dioxide then one can conclude that they still have some in them. Carbon dioxide can be dangerous to humans, I doubt small traces of carbon dioxide in the crickets would hurt a human but what if a human eats multiple?